When you start baking desserts with non-traditional ingredients, you may start to doubt yourself. If you thought black bean cookies were weird, how about hemp seeds and stevia?! Coconut sugar? What the heck? How will they taste? Ricki is the baker extraordinaire who creates all sorts of vegan treats with wholesome ingredients. However, I am usually daunted by her long ingredient lists… that usually have uncommon ingredients. 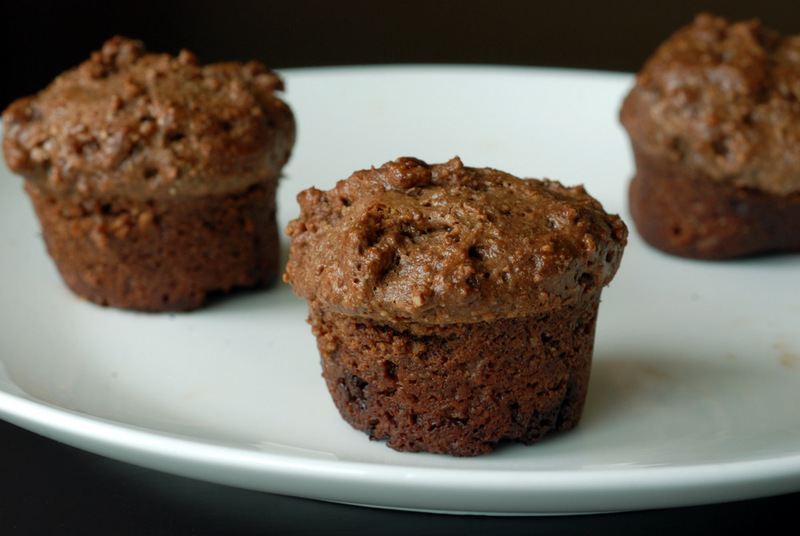 I was immediately smitten by her two-bite hemp brownies, and after a trip to Ambrosia, I finally had hemp seeds, coconut sugar and stevia. 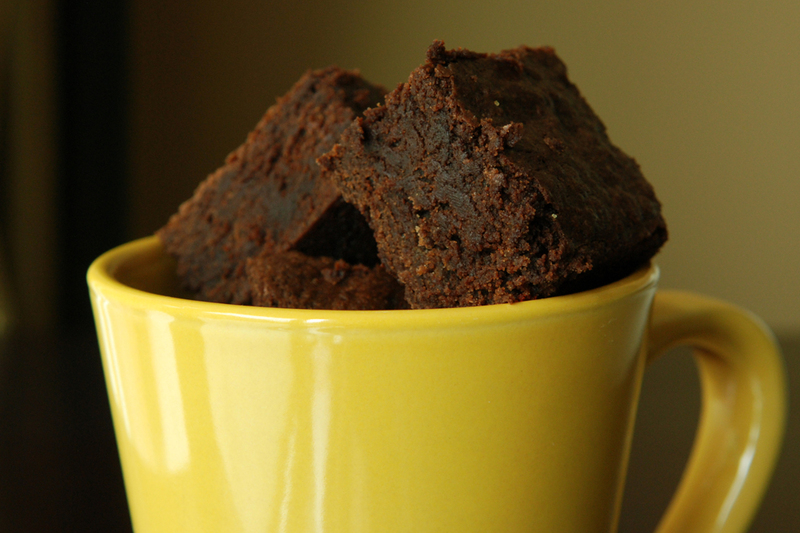 These ingredients allow you to create a low-glycemic fudgy brownie with healthy fats from the almonds and hemp seeds. Yes, I said fudgy! This was my first time using stevia, a plant-based zero calorie sweetener. It has a distinct aftertaste. 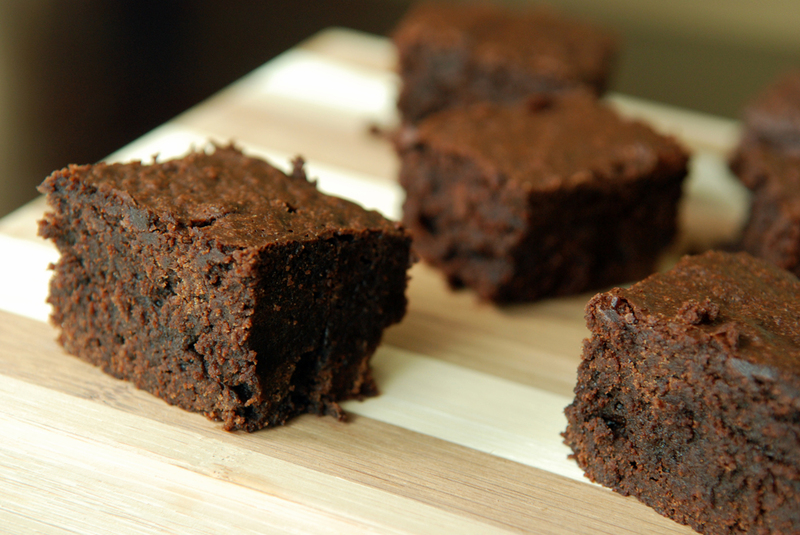 That’s the only clue that these brownies are on the healthier side. A walk on the wild side. This is a story about how to win friends and how to lose friends. All through brownies. Brownies are that powerful. OK, I am exaggerating but these brownies are that good. Just like creamy salads are best shared, a 9×13 pan of brownies are meant to be shared as well – even if you’ve been eating cabbage all week. I was visiting a friend who was recovering from surgery and while she barely had mustered up an appetite all week, when I asked what I could bring her, she immediately exclaimed: “CHOCOLATE!”. 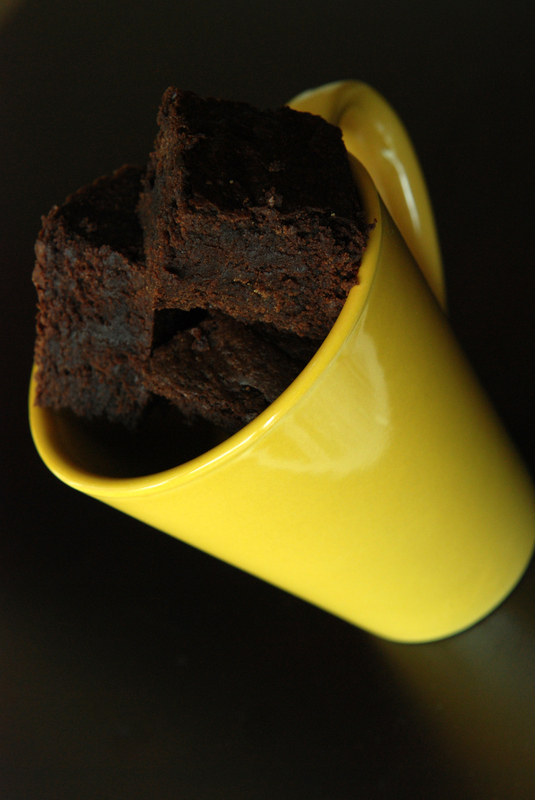 What better way to satisfy a chocolate craving than through fudgy melt-in-your-mouth brownies? Well, when they are all spiced up! Consider this akin to the Mayan Chocolate Haagen-Dazs. These brownies, which are sinfully delicious as pure chocolate brownies, are elevated to the next level with the addition of cardamom, cinnamon and paprika. I opted to use a smoked sweet paprika, which lacks the true oomph of a chili powder, but I enjoyed the quiet subtleness of spice amongst the chocolaty goodness. This recipe was adapted from Smitten Kitchen, who adapted it from Baked by Matt Lewis and Renato Poliafito. This is my submission to Meeta’s Monthly Mingle featuring Special Sweet Treats and to We Should Cocoa for coffee.